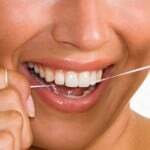 Our goal is to keep your teeth and gums healthy for a lifetime. To achieve this goal, we provide thorough cleanings and comprehensive checkups for patients of all ages. Additionally, our friendly team will educate you and your family about proper home-care techniques that will improve your oral health. Even if your teeth appear and feel healthy, you still need to see the dentist regularly. Regular check-ups are recommended so that early cavities, gum disease, and even oral cancer can be detected and treated early. If left untreated, these conditions can result in the need for costlier and more complex treatments. Prior to beginning any dental treatment, Dr. Lam will conduct a thorough examination and discuss various treatment options. A comprehensive dental exam in our office consists of: Oral Cancer Screening, Gum Disease Assessment, Occlusal Analysis, Tooth-by-tooth exam, and X-Rays, if necessary. We will accommodate emergency patients and provide relief from pain or discomfort even without an appointment. The American Dental Association recommends that children get evaluated by a dentist by age 1 and then at regular intervals. Routine check-ups are important to detect early crowding or malpositioning. Also good oral hygiene habits that start early can lead to a lifetime of healthy smiles! We offer sealants, oral hygiene instructions, and restorative care such as fillings, pulpotomies, and stainless steel crowns. Periodontal treatment involves the removal of calculus or tartar from tooth surfaces below the gum line known as scaling and root planing. In some instances, delivery of local antibiotics into the gum pockets may be used. 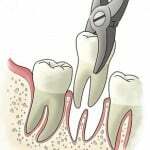 Root Canal Therapy (RCT) usually entails one to three visits. 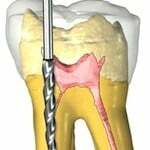 During the first visit, a small hole is drilled through the top of the tooth and into the inner chamber. Diseased tissue is removed, the inner chamber cleansed and disinfected, and the tiny canals reshaped. The cleansed chamber and canals are filled with an elastic material and medication designed to prevent infection. If necessary, the drilled hole is temporarily filled until a permanent seal is made with a final restoration (usually a crown). Also known as composites, these esthetic fillings match the original color of the teeth as opposed to silver or metal fillings. 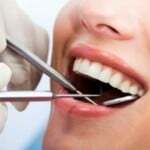 A simple tooth extraction is the removal of a tooth that is visible in the mouth. A surgical extraction involves a tooth that is not easily accessible in the mouth, either because they have broken off at the gum line or because they have not come in yet. 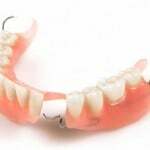 Partial and complete dentures are removable appliances that support missing teeth and surrounding tissues. They function to help you to properly chew food, a difficult task when you are missing teeth. In addition, a denture may improve speech and prevent a sagging face by providing support for lips and cheeks. A crown (or cap) is a covering that encases the entire tooth surface or implant restoring it to its original shape and size. 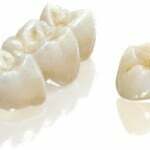 There are several types of crowns available, tooth colored ones are the most popular. They are highly durable and will last many years, but like most dental restorations, they may eventually need to be replaced. 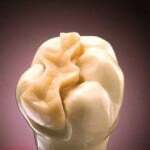 Replacing large fillings in back teeth often requires stronger, more precisely contoured restorations. 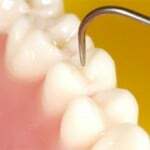 These are called inlays or onlays depending on whether they are being placed inside the tooth or on its outer surface. A missing tooth can be replaced with a more permanent solution than a bridge or denture, in the form of a dental implant. 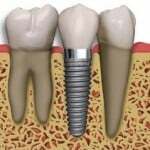 Implants involve the placement of an artificial tooth root in the jaw and the application of a new, natural looking prosthetic tooth onto that root. 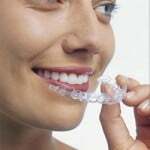 Your Invisalign® treatment will consist of a series of aligners that you switch out about every two weeks. Each aligner is individually manufactured with exact calculations to gradually shift your teeth into place. Since your Invisalign® system is custom made for your teeth with a plan devised by you and your dentist, you know you will end up with a smile that truly fits. 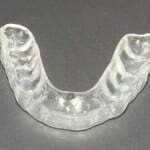 Whether you are an athlete or casual sports participant, you should wear a mouth guard to protect your teeth. If you grind your teeth while you sleep, a night guard will help reduce further damage to your teeth. Additionally, a bite splint is a non-invasive option to alleviate symptoms associated with TMJ discomfort.